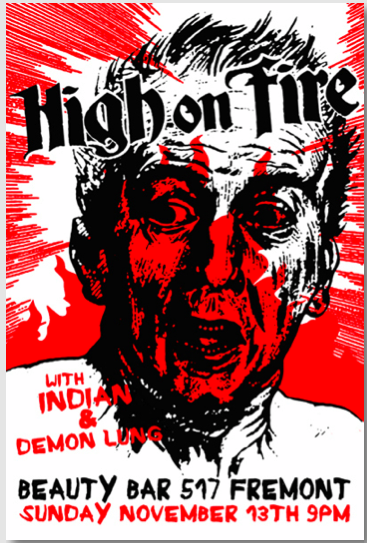 The above poster was created by Thirry Harlin for a High on Fire show. Matt Pike must of gone down to Georgia and sold his soul to the devil to play guitar like he does, plus he is known to play a 9 string guitar. A 9 STRING! This entry was posted in Uncategorized and tagged 9 String, Art, First Act, Gig Poster, Guitar, High on Fire, Matt Pike, Thirry Harlin. Bookmark the permalink.